The Board of Supervisors, sitting as the Pinal County Flood Control District, unanimously approved the participation with the Army Corps of Engineers on a feasibility study for the Lower Santa Cruz River Watershed. 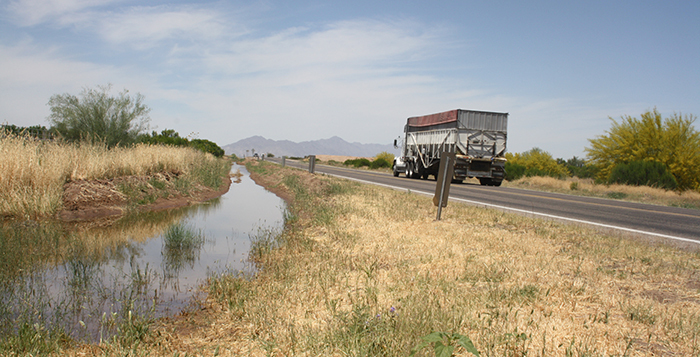 In the past, flooding on the Lower Santa Cruz has destroyed small farming communities along the river and damaged critical infrastructure, as well as caused significant damage to the towns of Maricopa, Casa Grande and Arizona City. The feasibility study is the second stage in a formal process carried out by the Army Corps of Engineers. The first stage was a reconnaissance study that was completed in 2014. This study found federal interest in developing a potential solution to the flooding problem. The Army Corps of Engineers also gave the recommendation to proceed with the feasibility study. The study is expected to be completed within three years at a total cost of no more than $3 million. The agreement with the Army Corps of Engineers will have the Federal Government and County split the cost of the study, including in-kind contributions from the county. The feasibility study is also good news to the nonprofit Lower Santa Cruz River Alliance. The group is comprised of 20 public and private entities who advocate for a comprehensive, regional solution to the flooding on the Lower Santa Cruz. Supervisor Anthony Smith is an executive committee member of the Alliance.